With constant competition for dominance in the social media space from the likes of Twitter Inc (NYSE:TWTR) and — to a lesser extent — Google Inc (NASDAQ:GOOGL, NASDAQ:GOOG), CEO Mark Zuckerberg has been under pressure to find ways to reverse the company’s slipping profits. Assuming the sales feature rumors are true, the idea of expanding the FB social networking site to include a classified ad/auction sales platform is a major step toward retaining the company’s leading position. As of March 31, Facebook’s total monthly active user count was 1.44 billion, which represents a 13% year-over-year increase. However, last month FB reported earnings that failed to meet analyst expectations for the first time since the beginning of 2013. Investors responded with skepticism to management’s guidance for total expense increases ranging from 55%-65% this year, and FB stock has slid more than 6% since the announcement. If Zuckerberg can convince Facebook users — and investors — of the merits of adding a second-hand goods sales platform, activity on the site could increase and hesitant investors may be persuaded to take up a position. Judging from the reports at The Next Web and NDTV Gadgets, it appears as if the sales feature will only be made available — at least initially — to individual users, not to businesses. If management expands the operation to allow commercial sales activity, FB revenue figures could rise to previous levels, as businesses would surely initiate related ad campaigns. Additionally, a sales platform could be just the thing needed to breathe life into Facebook’s Messenger payment system, which was rolled out in March with little fanfare and even less interest from the site’s users. Zuckerberg’s attempt at challenging PayPal’s dominance in the digital payments arena looks like it could truly come full-circle if this sales platform takes off. Meanwhile, a Facebook auction/sales platform could be devastating for eBay Inc (NASDAQ:EBAY). The current king of the online auction marketplace has but a tenuous hold on the crown, as EBAY stock has been extremely volatile over the past two years. EBAY operating margins declined by 1.5 percentage points to 27.7% in the fourth quarter of the company’s fiscal year 2014. Among the challenges faced by eBay management were SEO modifications by Google, which led to an 80% loss of eBay search listings, and a major cyber attack. Add to that the upcoming spinoff of PayPal, and EBAY stock was already in trouble. Approximately 44% of eBay’s total revenue is generated by PayPal, which means nearly $8 billion in cash flow will go out the window when the spinoff is complete. Making matters worse, eBay will have to hand over $5 billion in cash to PayPal after the split, which will put even more strain on the company’s shrinking reserves. Despite being one of the world’s largest online retailers, eBay’s popularity has been steadily declining. According to ChannelAdvisor, “There has been a monthly decline in the number of auction sales made on eBay for every month in the past 12.” The problems this for EBAY stock will only be exacerbated with the worldwide rollout of a similar sales platform by FB. Without a doubt, Facebook has the talent, the money, and — most importantly — the existing user base to successfully implement an eBay-style sales platform. Although no mention was made of plans to charge users for buying or selling (meaning FB apparently has no intention of directly profiting from the activity), the rollout of a working sales system for second-hand goods would bode well for FB stock. On the other hand, EBAY stock, which has already been struggling for quite some time, stands to lose even more market share if Zuckerberg can generate sufficient buzz and interest in the new FB feature. 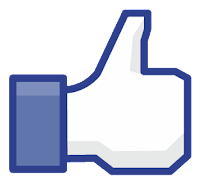 The number of monthly active users would likely increase for Facebook, as would the number of display ads sold. As with any new major feature, there will surely be bugs to work out and unforeseen complications that arise, but as long as the platform is adequately capable of facilitating the sale and purchase of goods on Facebook, there are plenty of long-term benefits that justify taking up a position in FB stock.